Blf Press LLC, 9780997243994, 222pp. 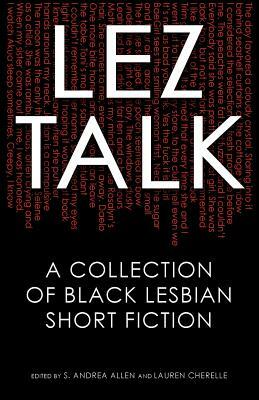 A necessary and relevant addition to the Black LGBTQ literary canon, which oftentimes overlooks Black lesbian writing, Lez Talk is a collection of short stories that embraces the fullness of Black lesbian experiences. The contributors operate under the assumption that "lesbian" is not a dirty word, and have written stories that amplify the diversity of Black lesbian lives. At once provocative, emotional, adventurous, and celebratory, Lez Talk crosses a range of fictional genres, including romance, speculative, and humor. The writers explore new subjects and aspects of their experiences, and affirm their gifts as writers and lesbian women. Beginning with Sheree L. Greer's "I Can't Turn it Off," a short, powerful tale imbued with socio-political undercurrents, the collection also includes work from Claudia Moss, LaToya Hankins, Lauren Cherelle, K.A. Smith, S. Andrea Allen, Faith Mosley, and Eternity Philops.